Vegans and vegetarians haven’t always had an easy time in China. It’s not that the Chinese have a problem with the concept. They just don’t really get it (not all of them, at least). It’s quite common, for example, for a vegetarian to order a dish of delicious green beans only to discover it comes with minced pork. It would to the average Chinese person, quite clearly be a vegetarian dish given the preponderance of the beans. The presence of some pork and its attendant meat fat would be merely seen as incidental. It is partly to do with Chinese people’s attitude towards meat and vegetables. They are accustomed to seeing them together on one plate. Throw in a communication barrier too and it might seem as if the restaurant is trying to pull the wool over the diner’s eyes. It most definitely isn’t. But out of such misunderstandings can stereotypes be born and flourish. But, there has been a gradual awakening in China over the last decade. This has been led by the big metropolises, by celebrities and also by the impact of much more overseas travel by an emerging, affluent middle class. That has seen the concept of vegetarianism and the rationale underpinning it become well accepted. It is also seen as a trendy and popular lifestyle choice. 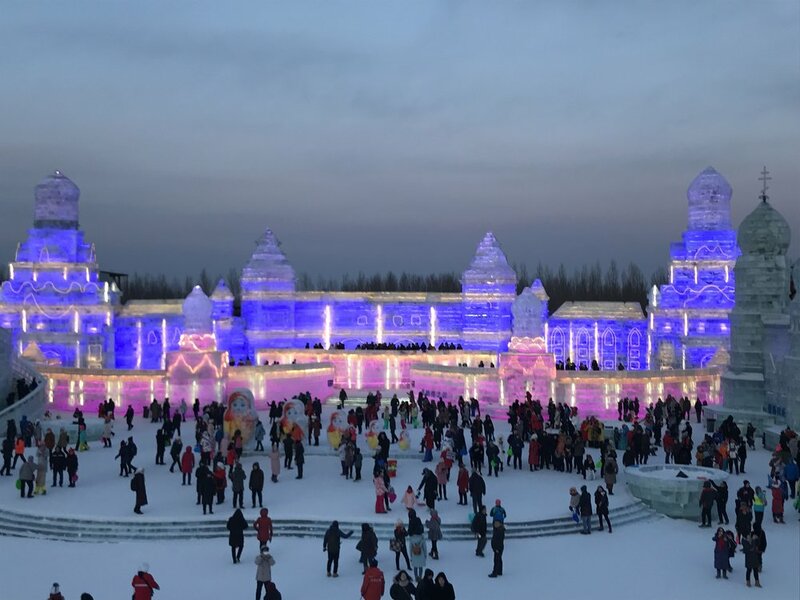 Most Chinese now recognise the health benefits of a diet consisting of lots of vegetables and have even decided to give vegetarianism a go, at least temporarily. 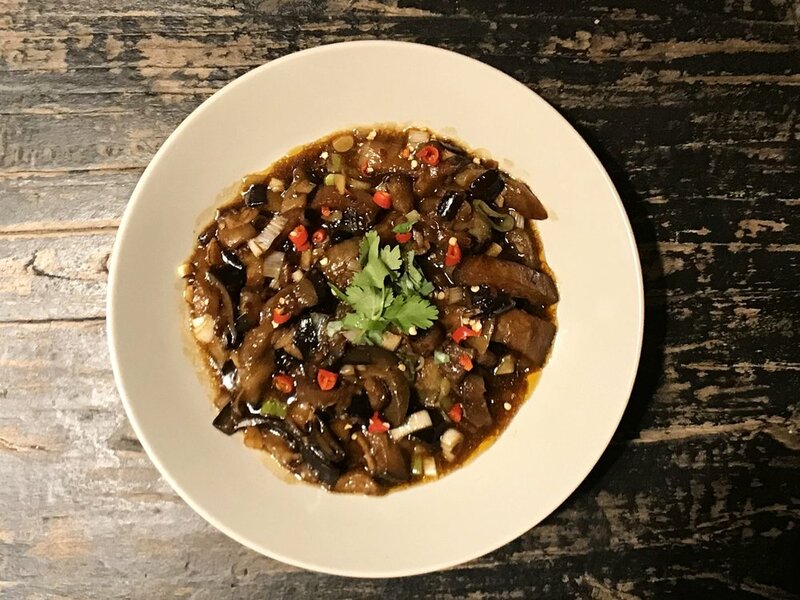 Nowadays, you can find some amazing vegetarian restaurants in China, with a diverse choice of vegetables, herbs and spices allied to great cooking techniques at the disposal of the typical Chinese chef. That means there are an abundance of tasty dishes awaiting an ever-growing vegan and vegetarian community. 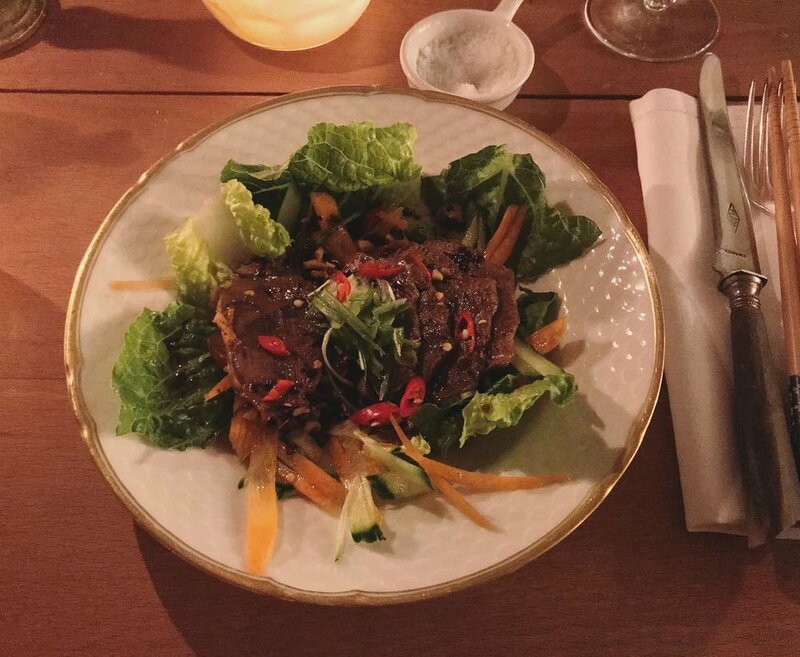 But, what if you want to eat vegetarian Chinese food in Copenhagen? There are options, and we are definitely one of them! We have already tested this dish with one of our vegetarian guests this week. She loved it, describing the dish as crisp, spicy and sweet. 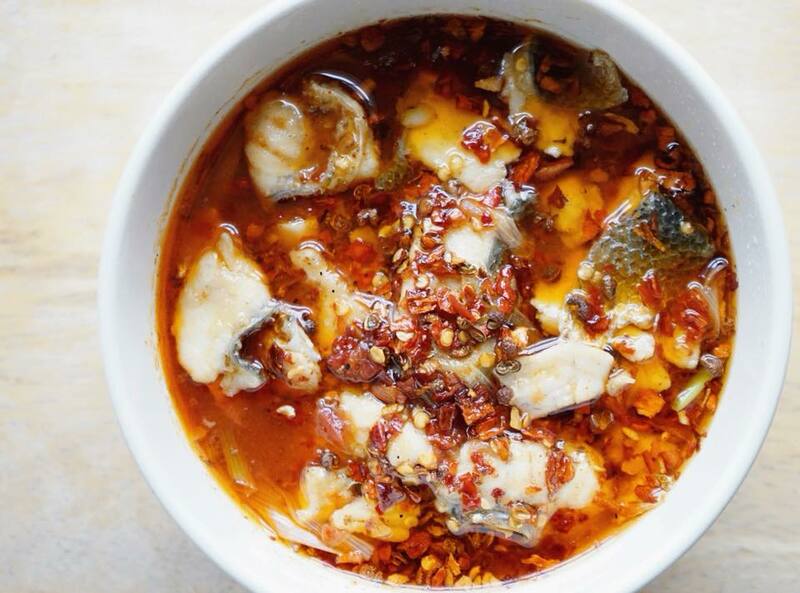 We always listen to our customers, so we will be adding this one to our Sichuan-themed menu. If you've never had this vegetable before, you've definitely got to try it! It is the root of lotus flower, perfectly healthy and has a gentle sweetness. When sliced thin and poached quickly, it turns very crispy and combines wonderfully with our signature chilli oil! Emm... You will love this starter, and you don’t need to be vegetarian to try this one. It really is delicious! 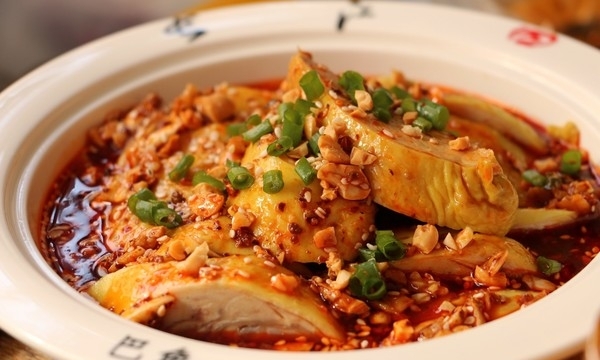 This is an absolutely classic Chinese dish. Traditional 'mapo tofu’ comes with beef mince, and again this is why sometimes it’s hard to order the vegetarian dish in Chinese restaurant, as it simply doesn't say in the name that it comes with meat. But what is 'mapo'? It is actually the nickname of a Chinese lady who lived during the Qing Dynasty in the 19th century. 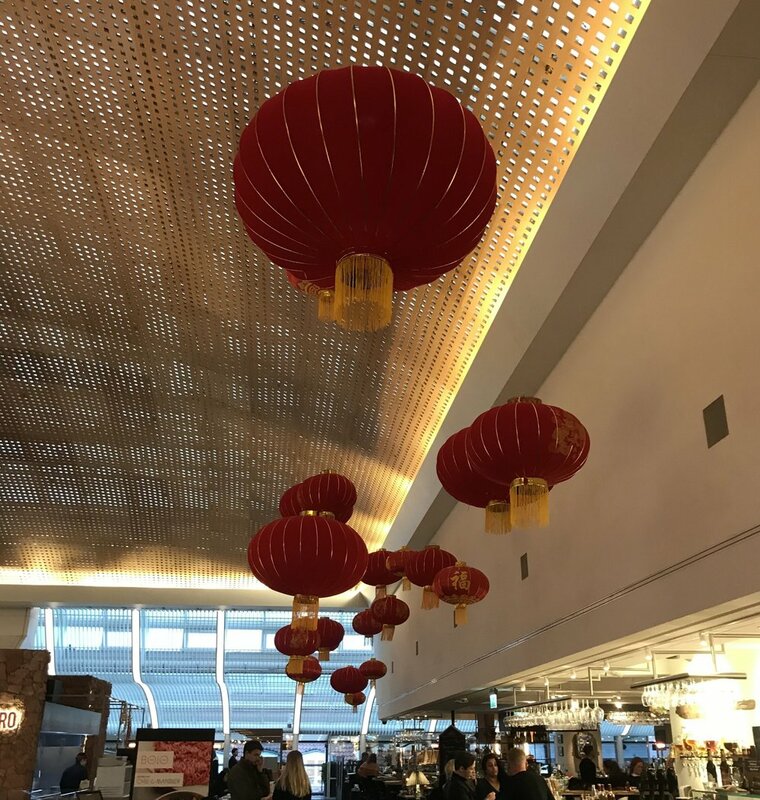 Her husband Mr. Chen used to have a restaurant in Chengdu, but, when he died relatively young, Mrs. Chen was left with little choice other than to take over the business in order to make ends meet. Soon after she took over, her signature tofu dish became famous in the local area, and more and more people came to eat. Mrs. Chen’s complexion was a bit pockmarked and people nicknamed her 陈麻婆 (Chen Ma Po), meaning “Mrs Chen the pockmark face”. It may not have been particularly nice, but it helped establish her. At the time, a lot of people visiting her restaurant were low paid paddi-field workers and labourers, so they could not always afford meat. 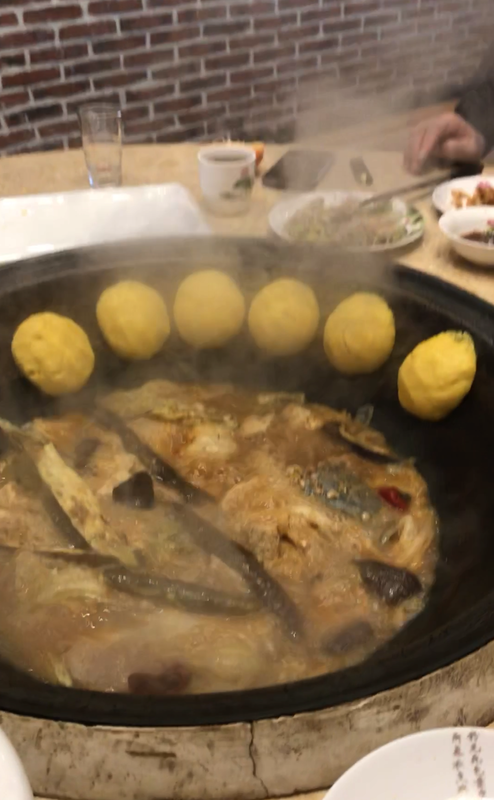 So only when they had a bit of spare cash would they go to Chen Mapo with a small piece of meat for Chen Mapo to add into their favourite tofu dish. And that is why the traditional ‘Mapo Tofu’ always comes with minced meat. But this dish is just as tasty without meat. 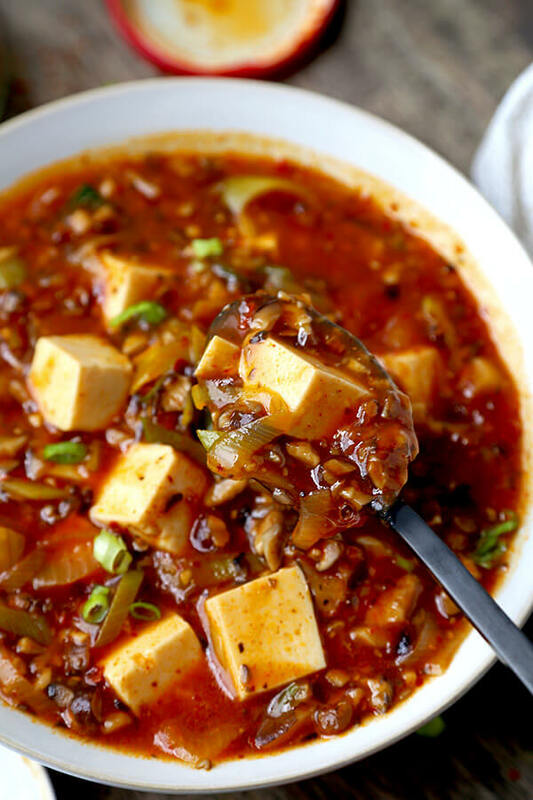 The tofu is cooked with a lot of chilli and sichuan peppercorn, giving it a vibrant red that is extremely tempting. The combination of spices, savoury and saltiness is divine to the point that it is almost impossible to stop eating. And thanks to its creator Mapo, we still get to enjoy such amazing dish, 200 years down the line. We mentioned this dish in our last blog, so I’ll not add too much more about it here. Let’s just let the picture do the talking. It’s been one of our most popular dishes since we opened up at Spisehuset. And, as they say, the proof’s in the pudding. Come. Try it. You won’t be disappointed! Everyone loves dumplings. It’s just the perfect format for bringing together all your favourite veggies. Our vegetarian dumpling contains a lot of goodness: Shii-take mushrooms, button mushrooms, fennel, carrot, spinach, Chinese chives and cabbage. Imagine getting all of that in one heavenly bite. 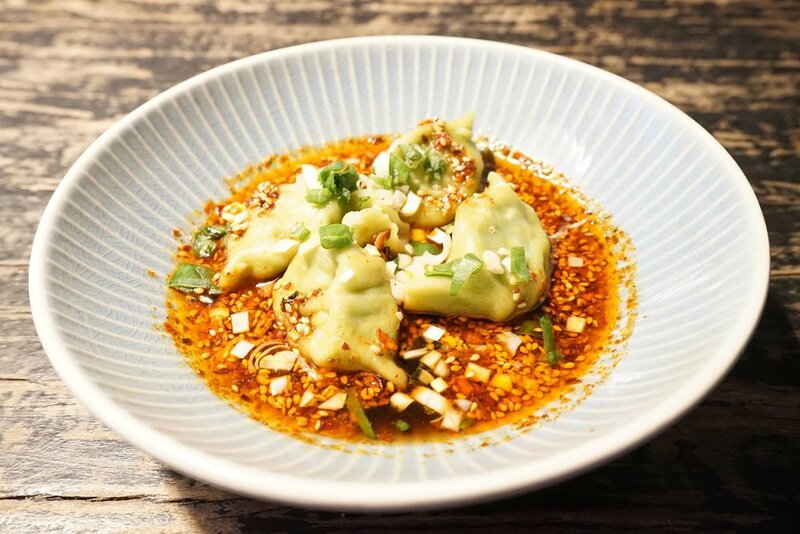 And our veggie dumplings get their green skin from a healthy spinach juice. Just wonderful. This is a heavenly dish. While okra is not a traditional Chinese vegetable, it is becoming popular and it’s not hard to understand why. It really is delicious. This particular dish is actually our own creation. We had an instinct that okra would combine well with tofu and glass noodles and when we unveiled this one before Christmas, our customers agreed. 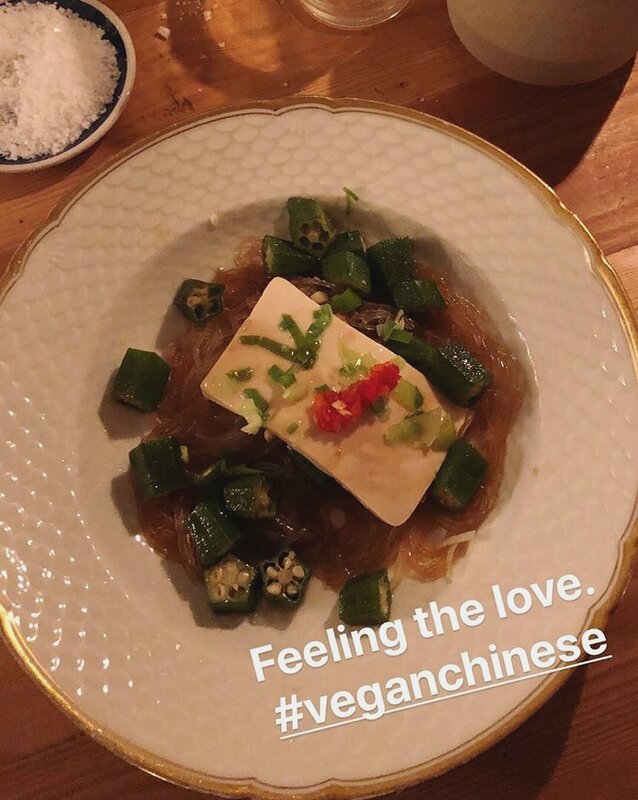 The combination of crunch from the okra, smoothness from the tofu and a certain ‘give’ from the noodle is a perfect cocktail. Add in the garlic oil and you’ve got taste heaven. We love it. We think you will too. With our Sichuan-themed menu running until February 12, we do feel we've got all bases covered. We're currently 'popping up' at the wonderfully hyggeligt Spisehuset in Kødbyen on Sunday and Monday. So, whatever your dietary needs, we have an amazing experience awaiting you. But please do let us know before. Book now!